2) Will this be released overseas with the two 7″ tracks appended? Matador….I love you so. New SY, YLT, and MOB albums in a matter of months from each other! Wow. Is there any other label that has a roster that can touch this? I noticed the price is only $18, does this mean Matador is skimping us on the varnish? Cannot wait for this!! 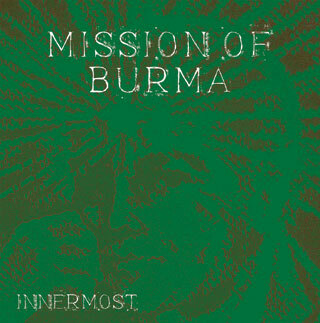 The return of Burma, hooray!!! Matador, you rule. If the opener is truly in the same category as “Fate”, then I’m already beyond satisfied with this record (b(but something tells me I will be anyway). How fantastic is this? So stoked. Matador/Mission of Burma, you made my week. LP and CD will have identical tracklistings. Packaging will be similar as well. The 1,23, Partyy! track sounds interesting. But only barely sounds like Burma. Who’s singing? And where are those signature harmonies? To my ears, the vocal melody sounds more like a wanna be Pixie track. (No offense intended – I love the Pixies). But having grown up seeing Burma live a LOT, this doesn’t seem to hold any of the energy that made DNA, Native Tongue and MOB so interesting.